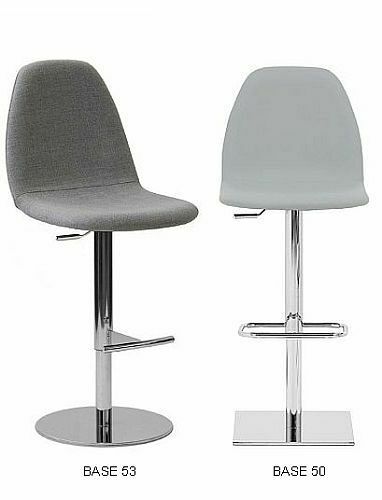 Matching Dining Chair & Fixed Height Stool. 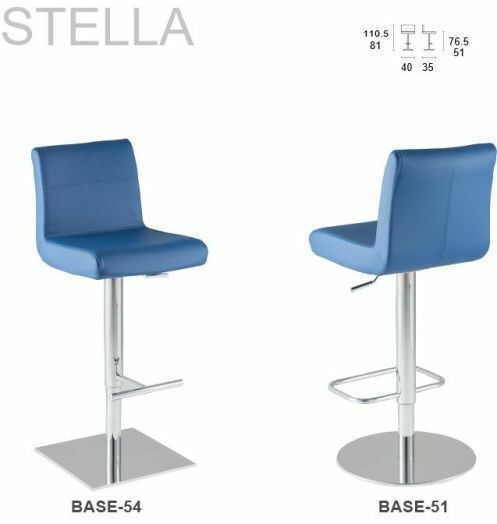 Suitable for a Standard Breakfast Bar. 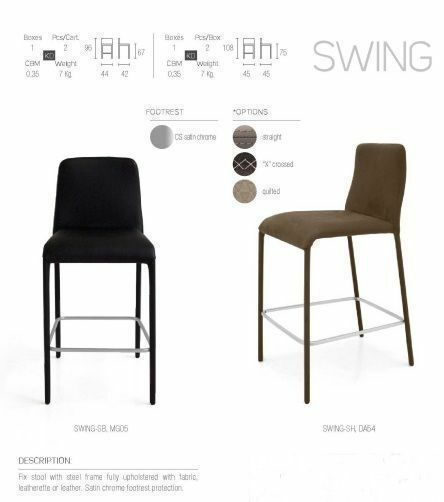 2) Magic Eco Range of High Quality Man Made Material - 29 Colours. N.B. 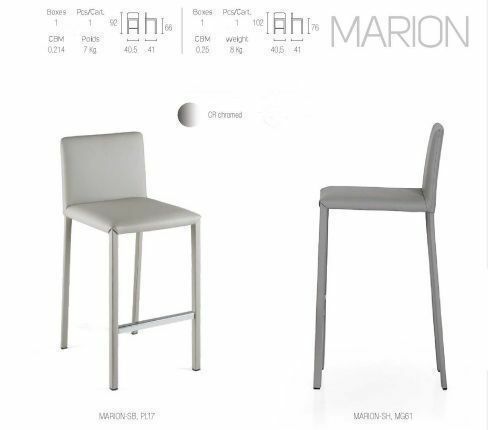 MG69 Iron Grey has been discontinued, so we cannot supply that colour. We are happy to post one or both sample cards to addresses in the UK. If you want to see the sample cards, then please send an e-mail to us giving your full postal address and a contact phone number. Also advise which card(s) or colours you want to see, so we don't send a card which is not of interest. 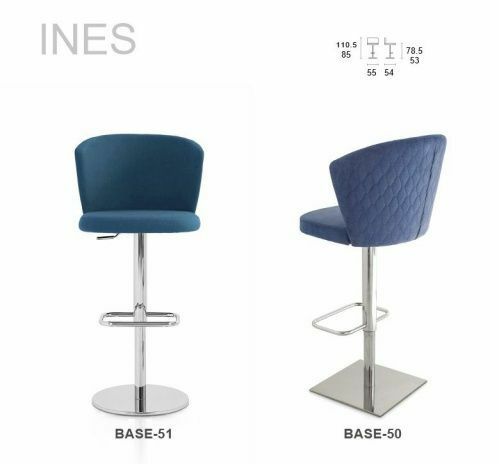 We do request that you return the sample card(s) as soon as you have made your decision, because they are in constant high demand. 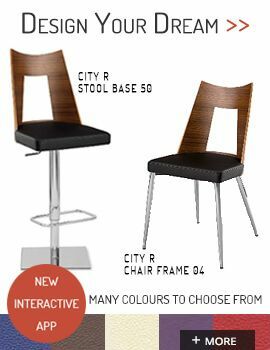 We have a really exciting new App, which allows you to design your own chair and/or barstool. Please try it out yourself. 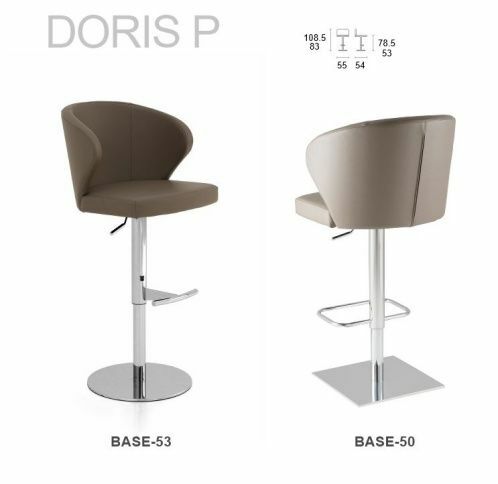 The App shows the full range of options for leg style, seat shape and upholstery fabric. 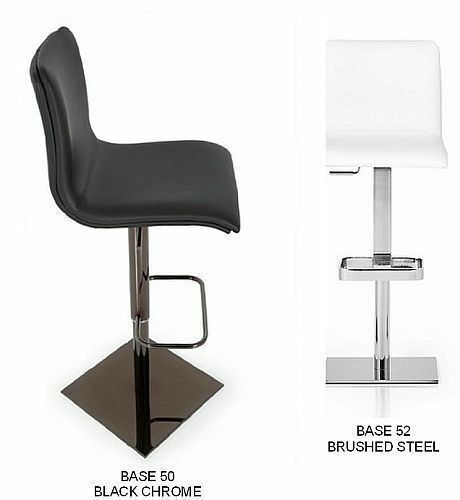 Brushed Steel, Mirror Chrome or Black Chrome Finish. 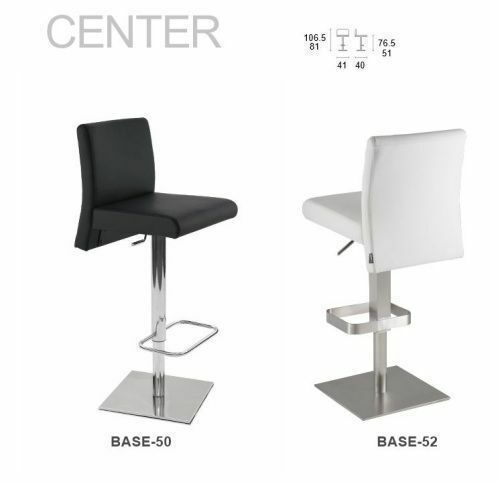 There are Hundreds of Cheap Bar Stools offered by numerous companies on the Internet. Ask yourself why they are cheap. You only get what you pay for. 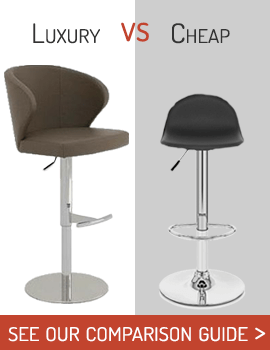 between Quality Bar Stools and Cheap ones. 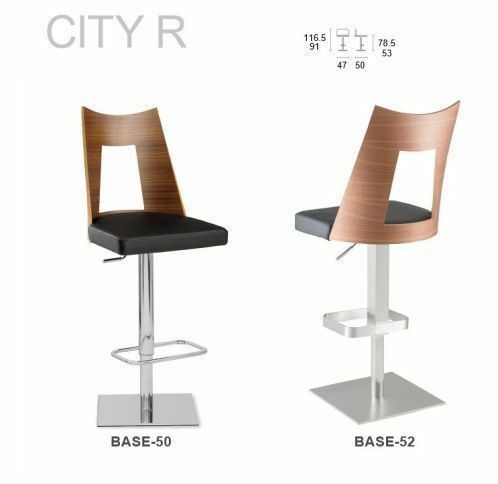 Our Furniture is a Long Term investment in Comfort and Quality. 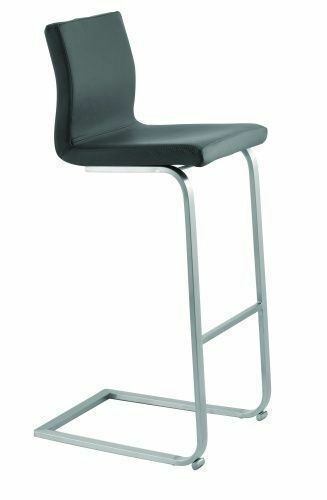 Strong and Stable Fixed Height Bar Stool. Last chance - Discontinued Model. 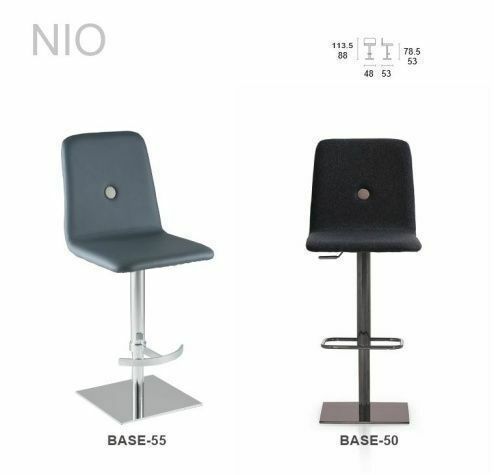 This section features a selection of High Quality Adjustable Bar stools which have been designed and manufactured in Italy. to those people who appreciate the finer things in life. 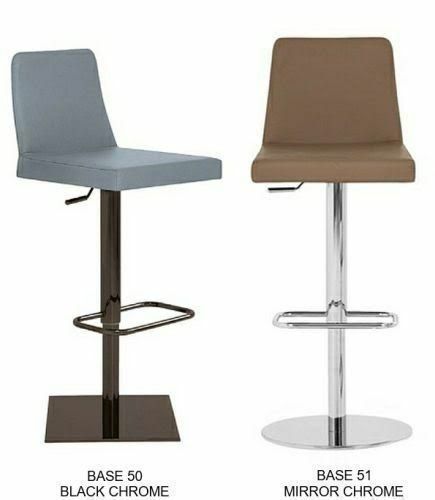 These stools are not the cheapest that you can buy, they are simply the best.